Sought after Westside Alamo home with incredible possibilities to expand on flat half-acre lot. Ready to install your pool, tennis court, sport court, or separate in-law unit. Two large decks. Large shed for man-toys and storage. Highly-rated Alamo Ranch Romero Elementary. Just steps away to thirty-two mile-long Iron Horse Trail, Hap Magee, and Hemme Station Parks, and Las Trampas Regional Park. 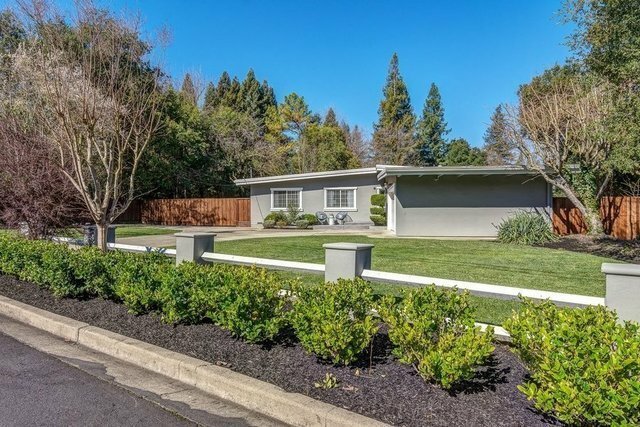 Seven minute drive to Walnut Creek, ten minutes to Bishop Ranch, forty-five minutes to Googleplex Mountain View, forty-nine minutes to Cupertino, twenty-eight minutes to San Francisco and twenty-minutes to Oakland. Features include: three bedroom, two bath, 1938 square feet of living space plus 170 square foot storage, two car garage, half-acre corner lot on cul-de-sac, situated mid-way between Danville and Town of Alamo.